#AgKids is brought to you by Bailey Tire and Auto Service. 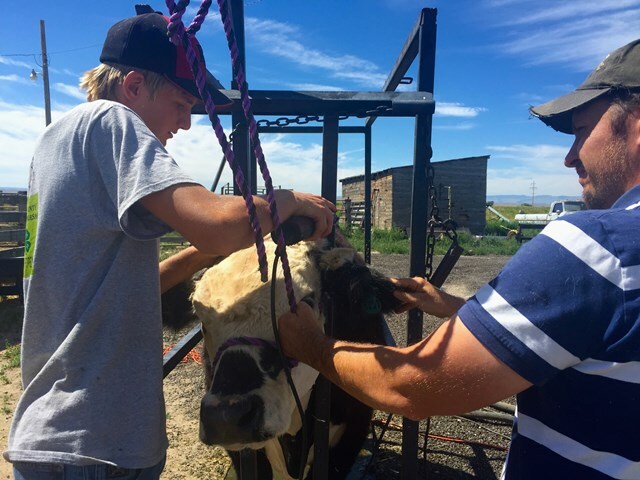 Growing up in Fremont County almost certainly means you'll be involved in some kind of agricultural education. And our local Future Farmers of America and 4-H chapters are ways this manifests itself for many of our youth. Peyton Rees has been actively involved in the two clubs for more than half of his life. Peyton is 15, and over eight years, he's done a little bit of it all. This year, he'll be showing both swine and a steer at the Fremont County Fair. But in the past, he's shown heifers, helped with his siblings' lambs and competed in 4-H shooting competitions. This year's steer is named Newt after the "Lonesome Dove" character. "I won't miss him," Peyton said of selling him at the Youth Livestock Auction. "He's a character....He's been a butthead." Newt was chosen last winter for his larger than average size and quality frame, and Peyton is aiming for the Grand Champion designation with him. Over the next week, Peyton will continue to exercise, feed, trim and clean-up Newt for his big day. In addition to Newt is Ginger. Ginger is a pig that was born with some red streaks in the hair on his face. 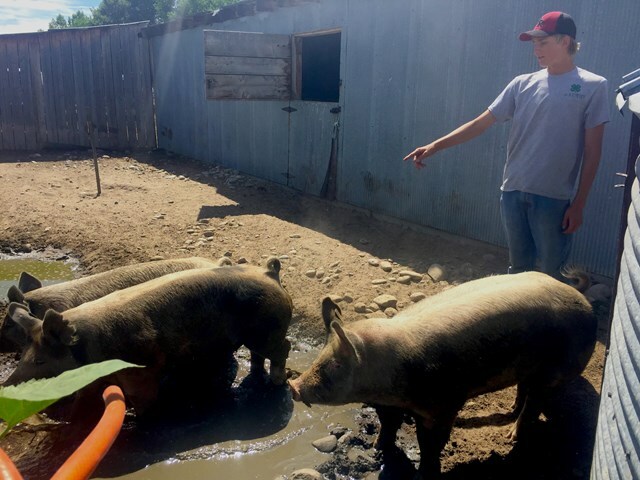 To those thinking about getting into raising livestock, Peyton, without hesitation, suggests starting with swine. They are more low maintenance than other animals, he says. With Peyton becoming ever more involved in American Legion Baseball each summer, he's not sure how much more he'll be involved in future years, but that doesn't mean FFA and 4-H haven't had significant impacts on him. "Without farmers, people would not be able to survive." This is the message he's learned and wants to make sure the community understands. And jokingly, Peyton says raising livestock and being part of the programs have taught him "just a little bit of responsibility." featured photo: Riverton FFA advisor Casey Styver helps Peyton Rees trim Newt.